We’ve approved an early release for Blood Rites! Good news! The second installment of The Redwing Saga is now available at Amazon.com, and should be in stores in most English-speaking countries. You can purchase the print version here for US customers. 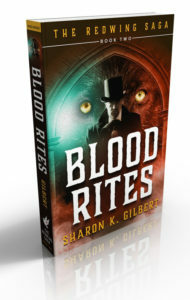 In all other outlets, search for ‘Blood Rites’ in the print store on your local Amazon website. The Kindle version will be available on September 15th, but is available for pre-order here.